1. Use buffering to add value, not cover weaknesses. Buffering isn’t intended for convenience, or to cover weaknesses in line flow and speed. A buffer may be hiding performance issues upstream or downstream. the more likely buffers will be required, precisely because the cost of downtime increases commensurately with the number of packages produced per minute. On a line moving 60 items/min, no buffering is typically needed because people can physically offload product to a cart. At around 100 products/min, it may be necessary to install a buffering solution. 3. Buffering smoothes out certain processes. Buffers may also be required for processes that take time, such as drying packages emerging from a water bath, evacuating air from pouches before filling, or the strict dwell-time and temperature standards of heat pasteurization. 4. Buffer to close gaps caused by intermittent motion. Indexing machines and batch processes with gaps in their motion or flow may require buffers, as opposed to the steady stream of continuous processes. Remove bottlenecks by using buffers to mitigate intermittent gaps in flow. 5. Transition from processing to packaging. Some form of accumulation may be necessary to accommodate quality checks before products are released to packaging. Limiting the number of items on the line at quality checkpoints, however, helps keep the focus on process improvement with minimal accumulation. is to use some sort of bidirectional mass flow buffer; another option may be to install, for example, two labelers running at 50% capacity and split the flow. If one labeler goes down the other can handle the full flow. 7. Find the line’s “sweet spot.” Some lines run best at breakneck speed; others are most efficient at a slow and steady pace. Practitioners of the manufacturing and packaging art often make the mistake of setting speeds too high, too close to design specifications. One failure can be disastrous to productivity. Installations vary, but trial and error become evident when you document your results to arrive at the optimal combination of speed and product quality on a balanced line with minimal upsets or downtime. Trained personnel can choose from a wide array of statistical analysis tools to arrive at the right speed for your equipment and overall line. that take into account mean time to repair and mean time between failures, a rule of thumb is to set the buffering capacity to be at least the mean time to repair the problem. So if it takes, on average, 10 minutes to fix the average line stoppage, your buffering capacity should be at least 10 minutes. For bagging or wrapping machines, if an auto-splicing option is not purchased, then the mean time to change out the film must be factored into the minimum buffer design. 9. Each line is unique. No two products or even lines for similar products are the same, so the same buffering system won’t necessarily work on every product. Rigid products such as cans can handle back-pressure, but frozen pizzas need more gentle handling, such as an accumulator fitted with multiple lanes and drives to prevent traffic jams, toppling or stacking and shingling. 10. Let your filler set the pace. In an ideal filling line, the filler, which has been called the “heartbeat” of the line, never stops. Because it’s critical to ensure feed, buffers are often used upstream of the filler. 11. Leave sufficient space between machines. 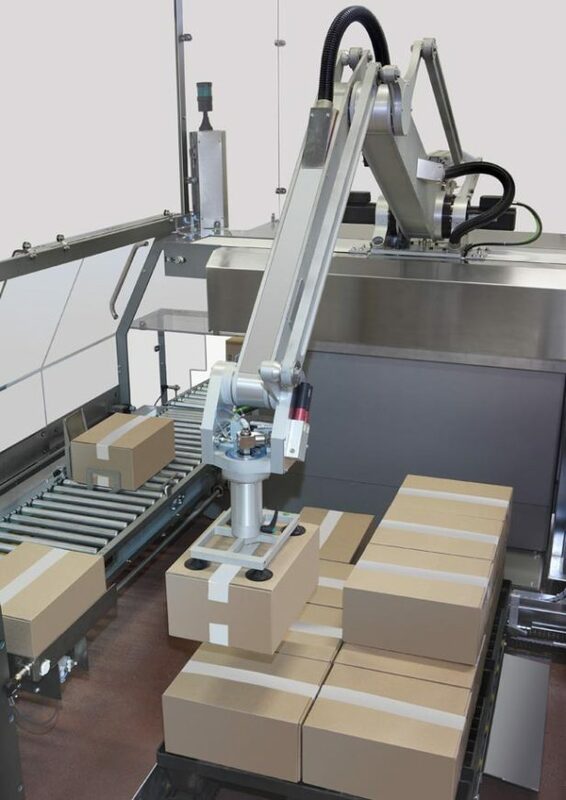 Just as automated lines are often set to run too fast, machines on automated and highly integrated lines are often spaced too closely to one another. If automation isn’t state of the art and fully trusted, plan sufficient space between machines and stations to allow for placement of buffer zones. Remember to include provisions for effective evacuation of non-conforming product at shutdown or startup cycles of critical machines—especially fillers and cappers. 12. Protect against electrostatic discharge. Modern equipment minimizes electrostatic discharge (ESD), but low humidity as well as machines that are isolated by rubber, plastic or other nonmetallic parts are prone to static charge. Conveyors are a common source for which special ESD belts or chains can be employed. Often, the fix can be as simple as the addition of a ground wire to connect isolated components.